Another great tool for the price! 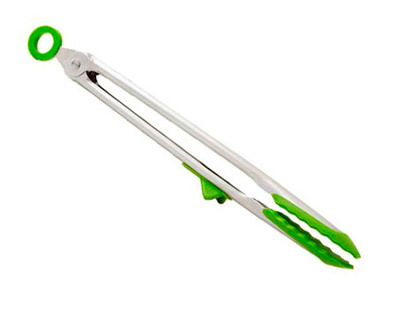 These silicone-tipped tongs will not scratch your nonstick pans. They have a handy little stand to rest without mess.